Limited time offer for Home Cleaning in Las Vegas -- 30% off your first booking! When you’ve got dinner to cook, kids to watch and a dinner party on a Friday night, finding time for home cleaning can really seem like a struggle. Wouldn’t you prefer to not have to clean the bathroom and spend that time relaxing or doing the things you enjoy instead? Since 2012 Handy has been helping households all over the country arrange services addressing their house cleaning needs, so if you’re looking for quick and easy Las Vegas home cleaning services, we’ve got just what you need. Booking Las Vegas house cleaning services through Handy is easy -- house cleaners booked through our platform turn up at the time you specify with everything they need to make your home spotless. Change of plans? No problem. Just give us at least 24 hours’ notice and we’ll reschedule your booking for you. There’s so much more to do in life than housekeeping, and with our Handy Happiness Guarantee, we’re not happy until you’re happy, and we’ll work hard to make it right every time. She was awesome! By far the best cleaning we’ve had. She followed my written instructions perfectly and went above and beyond as well. We’ve finally found our repeat pro! Leta was great! She was early, thorough, friendly, and open with communication. I'd definitely work with her again! I like Sandra a lot. She is a hard worker and very thorough. She tries to please and is successful at it. Jacqueline was super professional the entire time. The house looks great. I hope to have her back again soon. We love Darling; she always cleans the house the best she can in the 3.5 hours she has, and she does GREAT work! Troy was profressional and had a very pleasent disposition. He did a great job and would be happy to use his services again. Priscilla was very thorough, professional and fast! She cleaned everything I asked and more. Very happy with her service. The cleaner was very efficient! She finished in 2 hours & did not need the extra 30 minutes. Do I get reimbursed for that unused time? All home cleaning services in Las Vegas booked through our Handy platform include cleaning floors, washing and sanitizing the bathrooms and cleaning living spaces and the kitchen. You need your wonderful home to be clean and tidy so you can relax and do what you want to do. 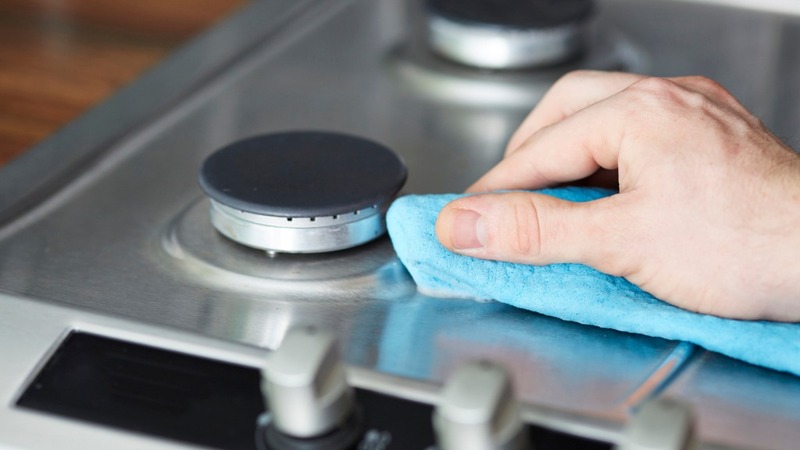 With added extras available, house cleaning services can also include washing and drying your mounting pile of laundry, cleaning the inside of the oven and even washing the insides of the fridge and cupboards. After all, who has the time for that? You can choose to have your house cleaning booking at a time that suits you. Would you like your home cleaned while you’re at work? No problem. How about at 7 AM so your space is spotless in time for your guests to arrive in the afternoon? We can arrange that. Need a deep clean before you hand the keys back on your apartment? Just book with Handy and a cleaning professional will get everything gleaming for you. When you book the best house cleaning service in Las Vegas, you’re giving yourself so much more free time. So now you can take that evening class, spend time cooking delicious meals in your clean kitchen, and take the kids out to that movie they’ve been asking to see. Any house cleaning you book through us ensures you get a vetted, expert cleaner who will treat your home the way it deserves. Just the house, no need to touch the garage or front part. Also, parking by my garage is okay and no need to make the bed. # floor has laminate flooring we typically use a steam mop to reduce wetness. # floor is tile and carpet. Please don't let the cats get out of the house. Also, we have dogs but are very friendly and can be left outside. I've got one dog - a beagle. I would also like the interior windows and cabinets done with the first service. Thank you! We have no carpet in our house but we have very dark floors which streak so please any tips would be great. A home cleaning service in Las Vegas allows you to take that trip to Lake Mead, enjoy the incredible exhibitions around the city, or just blow off some steam on the Strip this evening. Head down to the Bellagio and watch the fountains, lay out by the pool with that new novel you’ve been meaning to start, or go see Cirque du Soleil’s latest show. No matter what you end up doing instead of cleaning, when you get back home, you can rest assured that your space will be clean and tidy. At affordable prices, booking a home cleaning service is a guilt-free way of making the most of life. So whether you live in Sun City, Silverado Ranch or Canyon Gate, get in touch with one of the best house cleaners on the Handy platform, book an appointment, pay with a few clicks, and then get out there and enjoy yourself.